Hard to believe another 8 weeks have passed since I did the last recap of our travels, and it's now been 16 weeks since we left Nottingham. So now we're pretty much a third of the way through our adventure already! Tomorrow we leave Thailand after a brilliant and pretty relaxing time of it here, and head south into Malaysia. 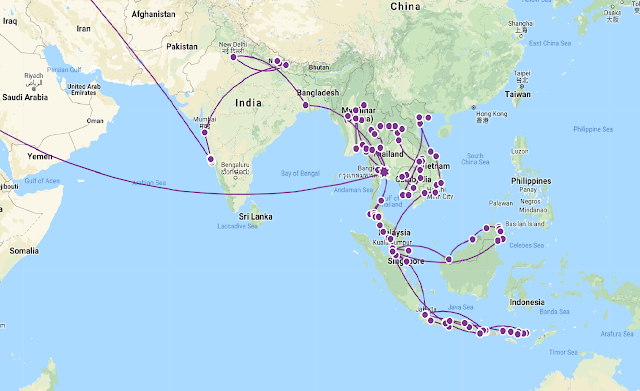 Our planned itinerary there is Langkawi, Penang, Ipoh, Cameron Highlands, Kuala Lumpur, Tioman Island and then onto Singapore. We will then probably cross over to visit the Borneo side of Malaysia, Brunei and then into Indonesia.